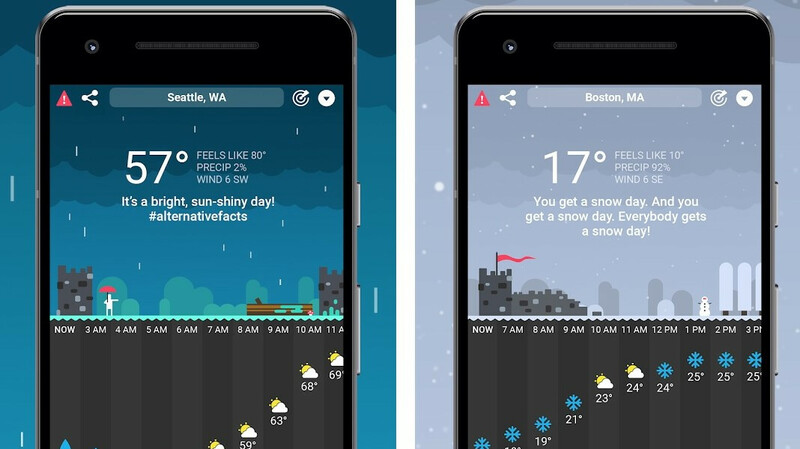 Most phones these days come with some sort of weather app preinstalled, but if you're looking for something extraordinary on that front, then Carrot Weather might intrigue you. What makes this app stand out is that it has a built-in robot. The robot comes in the form of a snarky assistant, explaining the app's features to you and commenting on the weather, among other things. By default, most lines of the robot are purposely insulting, but depending on your tolerance levels, you can tone it down or even ramp it up. The character types range from Friendly to Overkill, which can be very explicit, and you should probably avoid it if you have kids. For additional customization you can choose its political affiliation, out of the 6 included. They vary from Liberal to Communist or just Apolitical. Note that the robot starts talking as soon as you open the app, so we suggest to either have headphones on or do it in private, to avoid any weird looks. But let's not forget it's a weather app, so how are the weather functions? Well, it has everything you would expect, plus some more. Besides the standard information such as "feels like", wind speed and humidity, it also shows you "Dew point", a very sought-after information in the gardening community, we assume. Additionally, you can check the air pressure and visibility, as well as the UV index, to make sure you have the appropriate sun protection. Another feature that can entertain you during a few minutes of down time, is "Secret locations". Using Google Maps, you're tasked to find different locations after you're given a hint. "Time Travel" lets you check historical weather data up to 70 years ago. Two weather widgets, which are core functionality for most weather apps, making it much easier to quickly see the information you need. If you check the weather obsessively and need something to make you smile in the morning, Carrot Weather is a good bet. It's been out for iOS for a while, but now you can get it from Google Play as well. So far the reviews are mixed.